While her act of “death with dignity” may or may not change the world, it will most certainly continue the social media discussion about euthanasia. Some of the discussion will be helpful and some won’t be. Before any helpful discussion about Brittany Maynard takes place there needs to be some distinctions about forms and types of euthanasia. Often times, the difficulty in discussing euthanasia is when people confuse the different definitions. ONE: Active euthanasia: killing a patient by active means (Ex. injecting a patient with a lethal dose of a drug). TWO: Passive euthanasia: intentionally letting a patient die by withholding artificial life support such as a ventilator or feeding tube. ONE: Voluntary euthanasia: with the consent of the patient. TWO: Involuntary euthanasia: without the consent of the patient, for example, if the patient is unconscious and his or her wishes are unknown. THREE: Self-administered euthanasia: the patient administers the means of death. This is what is commonly called “suicide”. FOUR: Assisted: the patient administers the means of death but with the assistance of another person, such as a physician. 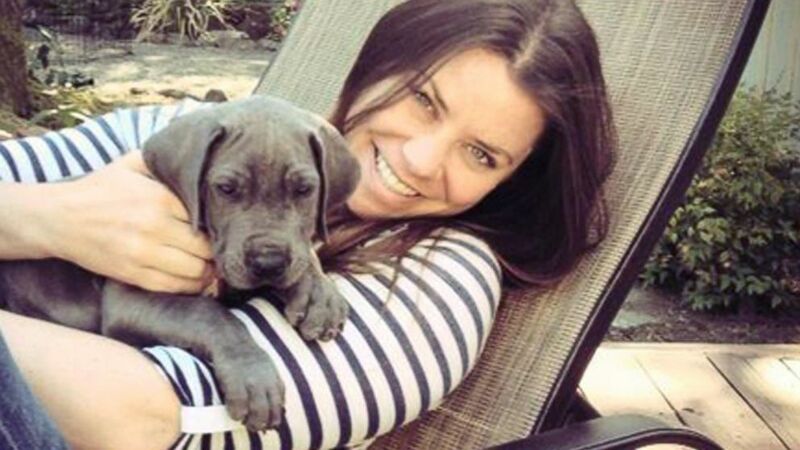 What many people fear when discussing “physician assisted suicide” is the slippery slope … that once we allow assisted suicide, like Brittany Maynard’s, that we’ll begin to allow various forms of involuntary, active euthanasia (which is basically murder). Many – who fear authority in general – assume that once we legally give medical doctors the ability to determine life and death, that various ulterior agendas will be put into place. That under the guise of “physician assisted suicide” we’ll systematically euthanize the supposed “unwanted” of society: “cripples”, the aged, the mentally ill and the marginalized. To be clear, though, this isn’t Nazi Germany. As it stands now, the idea of “physician assisted suicide” in Oregon’s “Death with Dignity Act” is both active and voluntary ONLY for those who are deemed terminally ill by the medical community. The idea with Oregon’s “Death with Dignity Act” isn’t to create pain, it’s to end pain. This is an important distinction in the discussion. For Brittany Maynard, it’s her desire for quality of life over quantity that is inspiring her to make this act. The Los Angeles Times recently wrote this: “Right-to-death laws do not impose death on the very sick. Rather, they allow people who face imminent death to do so peacefully and without agony.” This “right-to-death” laws are ONLY applicable to those who voluntarily choose them. Another element – and a VERY strong element – to this discussion is the religious element. Many firmly believe that God and ONLY God should choose when a person dies. As one who holds a graduate degree in theology, I can understand the passion that resides in the hearts of believers. But — while the God element is the center of the believer’s life — we need to understand that – on a national and state level — this discussion is not being held in a church forum, it’s being held in a public sphere. And so the “let God decide when we die” arguments wouldn’t work outside the walls of our houses of worship. Furthermore, the conversation is simply too complex for the “let God decide when we die” answer. With modern technology, the situation is often the case that humans do indeed decide. Whether it be passive euthanasia, like taking off life support and forms of palliative care (i.e. hospice), we often have to make the decision whether or not to continue to pursue medical support. The most recent Gallop poll found that 7 out of 10 Americans support the “dying on our own terms” form of euthanasia. Gallop writes, “Most Americans continue to support euthanasia when asked whether they believe physicians should be able to legally “end [a] patient’s life by some painless means.” Strong majorities have supported this for more than 20 years. As advancements in medical technology continue and as support grows for “Death with Dignity” laws, this is a discussion that you’ll probably have around the water cooler at work, at home with your family and friends and online of your social media forums. And when we talk about people like Brittany Maynard, it’s important to remember the different terms and definitions. And it’s also important that we realize the slippery slope and God arguments aren’t the most helpful in public forums. I believe that the center of a healthy discussion of euthanasia resides around ideas of community, an idea that I’ll probably develop in another blog post. Whether you agree or disagree with Oregon’s “Death with Dignity” laws and Brittany Maynard’s decision, know that your voice is valuable to the conversation and that it’s time we think about this topic as thoroughly as possible, especially as one day these very questions may demand an answer from you as you face your own death. This is a conversation that needs to take place in community and hopefully — instead of inspiring division — it will inspire better community and more active participation in taking care of our dying loved ones. This entry was posted by Caleb Wilde on November 2, 2014 at 10:41 pm, and is filed under Aggregate Death, Death in the News, Euthanasia. Follow any responses to this post through RSS 2.0.You can leave a response or trackback from your own site.